First, what is Dragon Magick? 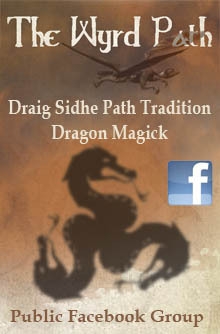 Dragon Magick is simply the practice of Magick with the aid of Dragons. 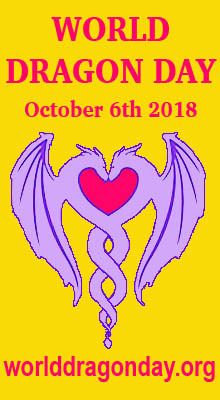 No matter what type of magick you practice, be it necromancy or healing, curses or blessings, you can ask a dragon for help. Keep in mind, however, that dragons are indeed alive. They have personalities, they have morals, and they value honor as well as compassion and positivity in general. If your goals are negative, are meant to harm others unjustifiably, or otherwise may be frowned upon by dragons they can and likely will say no. This means, no help for you. What is Dragon Magick not? Dragon Magick is not a form of cult nor religion. It is not anything bad, in fact it requires that which is often considered good. Dragon Magick does not require you be of a certain religion, hold certain beliefs, live a certain specific lifestyle, nor in any way dictates what you do. However, it does require a dragon’s approval for success since it requires a dragon help you, so certain things such as living honorably and, of course, believing in dragons would be required. Dragon Magick does not cost money, require specific tools, require any sacrifices, nor in any way dictates what you do in/with your life. Dragons are wise and powerful entities. 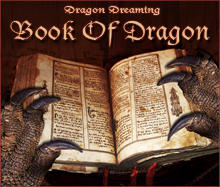 Beliefs differ on specifics about dragon history and life. Some(such as myself) believe that they once lived on the material plane and later left to escape the cruelty of humanity. With such a belief, every dragon would be at least five centuries if not thousands of years old, giving them plenty of time to develop morals and wisdom. Others believe that they live and die in the same cycle as we do although on a different plane of existence. Regardless, there is no doubt about their wisdom and power thus no doubt that they deserve respect. 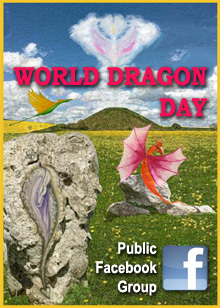 Physically, dragons are large reptilian creatures depicted differently by different cultures. Some are depicted with two legs, wings, and a long neck. Others are depicted with four legs, two wings, a massive body, a large tail, long neck, and horns. Still others are depicted with four legs, no wings, horns, long body, long tail, and long neck. It all depends on the culture, but the basics are fairly consistent. Dragons are large, powerful, ancient reptilian entities. Astrally, dragons are little less intimidating and much more relaxing then their physical counter-parts. Each one is usually associated with one of six elements, although two of the elements are debatably so. The elements are fire, earth, water, air, chaos and spirit. The appearance of these dragons really depends on what the dragon itself favors, they are restricted by nothing, but usually their appearance in some way reflects their element and/or preferences/personality. Some traits to work on for working with dragons are the traits you may likely be judged for by others. Compassion, respect, wisdom, patience, mercy, generosity, kindness, and discipline. If a dragon sees you as a being without compassion, no respect, a fool with no patience nor mercy, selfish, rude, and out of control, they are as likely to turn down your plea for help as any human who could see such things would turn down an offer of friendship. How do you gain a dragon’s aid? The methods are usually quite simple, although for the sake of rituals often made quite elaborate or extravagant. All you really have to do is ask. Simply ask for help. Some people will make the request into a poetic verse or rhyme, some make it a song, others make it a short and inspiring speech, some might even make it a long speech, but the basic point is always the same- ask. What might ensure you don’t get a dragon’s aid? Command. Often people think “I’m going to be a master of Dragon Magick and control dragons everywhere!” Then perform some ritual in which they basically say “You will obey me!” And, amusingly, wonder why nothing ever happens. The reason why nothing happens is that dragons by no means are ever required to obey humans. If dragons were material beings, they could easily eat us. If they don’t like the flavor, they could use fire. If they don’t want to waste the energy, just a lowering of their mighty claws would suffice. Honestly, why should they obey our selfish and rude commands? I say again, ask for help. Don’t command. Attempting to command a dragon says allot about a person. It says they lack wisdom, respect, compassion, and experience. It also says that they are not yet ready to work with dragons. Other ways include misusing abilities, such as asking for help to harm another individual without just cause. This shows immaturity and lack of discipline. Rude or arrogant remarks that suggest you are superior to someone else, this also shows a lack of maturity, wisdom, and compassion. It’s really just common sense, anything that promotes negativity of any kind such as being emotionally, physically, spiritually, or otherwise harmful to others in any way at all is not good. A: No, age does not matter. However, maturity and morals do. If you are immature or immoral you will not get much cooperation from those who could teach you in this coven nor the dragons that you may hope to work with. Q: How can I see dragons? A: Dragons no longer exist on the material plane and so can not be seen by the material eye, however the third eye is capable of seeing them. Q: How do I open my third eye? A: It is recommended that you open up all of your chakras and keep them all clean, not just your third eye. Your third eye, like all your other chakras, can be opened via meditation and proper visualization. Techniques may vary. More information may be found in the rituals section. Q: How long does learning Dragon Magick take? A: That depends on who is learning. Some people may learn so quickly that they are very experienced within a month. Others, in spite of trying their hardest, could take years. And then there are some people who never even manage to comprehend the basics. It depends on how good you are morally, how quickly you learn, and perhaps most importantly how dedicated you are. Q: How do I know when I’ve met my dragon? A: It should be a gut feeling, like an instinct. When you meet a dragon for the first time and it is a dragon you are meant to bond with the first roots of the bond should take place quickly. Otherwise if the dragon you meet is your dragon you may know simply because it tells you so. I think how you know may vary from person to person, but usually it would most likely be a gut feeling or instinct. Q: How can I find my element? A: There are multiple ways for this. Some use the zodiac, that will be explained in a second post. Some use numerology which is usually inaccurate so I’m not about to waste my time on that. Some use the runes of their name, due to the vast variety of names I won’t be wasting time with that either. The most accurate way is to find out for yourself through good old trial and error. Try a few experiments involving the elements. Surround yourself in fire(CAREFULLY NOT TO BE BURNED!) and see how comfortable you feel. Then again with water, air, and earth. Find where you feel most at home and comfortable. Within your element it should be easy to meditate and you should feel energized. Also, try casting a few spells of an element’s type. Normally, spells of your element will work better for you then spells not of your element. Regardless of your element it is possible to specialize in all elements of magick. Q: What is a fixed sign? A: A ”fixed sign” is a sign from the astrological zodiac. Q: What types of dragons are there? A: There are two base types, actually, and that being the physical and the astral. The astral is what exists now. There are six main types of astral; spirit, fire, water, earth, air, and chaos. From them there are countless subtypes; energy, lava, ice, sand, wind, and light just to name a few. Of the physical there are four main types; prehistoric, marine, forest, and mountain. From them there are a number of subtypes and those subtypes are the dragons as the evolved, the dragons in-between being one or the other of the main types. For example; a forest dragon which also dwells in water may be a subtype in that it could be a forest-marine dragon. Q: Can I create my own dragon? A: You may be capable of creating a thoughtform or servitor in the figure/appearance of a dragon, however it is in no way a real dragon nor is it likely to ever become a real dragon of any kind. Q: What is a dragon guide? A: A dragon guide is any dragon that chooses to help you on your journey of learning through this life, similar to a spirit guide. 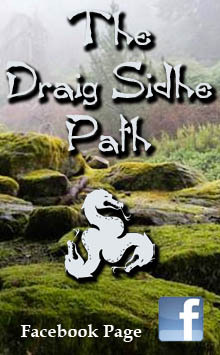 Sometimes a dragon guide may fully substitute your spirit guides or even become one of your spirit guides according to what will be most beneficial to you over time. Q: What is a dragon guardian? A: A dragon guardian is any dragon that guards. Often this could be a dragon guarding it’s young, the young guarding the parents, or even your guide guarding you. In some cases it may be a friend or relative of your guide that chooses to help guard you, this would likely be most often when a friend or relative is more powerful and thus more capable then your guide is such as in the case of a mother dragon(relative of your guide) helping her baby dragon(your guide) with protecting you. Q: Are dragons evil or violent? 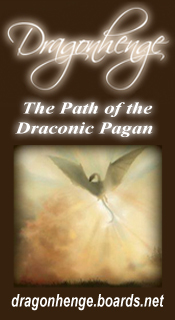 Q: What would be the most effective way to become experienced in Dragon Magick? A: Basically the best way to become experienced is to simply gain experience. Research first, study carefully, then begin practicing hands on. Books are fine and dandy for information and getting you started, but nothing is going to get you as experienced as you can become as literally experiencing Dragon Magick will. This means that you must speak with dragons, meet with dragons, listen to dragons, etc.